After the successes at last winter’s II’s-IV’s match, St Neots holds happy memories for many members of CUH&H. This year’s Cuppers match showed an equal number of strong performances on both the men’s and women’s sides. In the women’s race, runaway winner was Magdalene’s Rachel Longstaff, front running a dominant race away from the rest of the field. Her time of 20:50 saw her put 20 seconds into Captain and Pembroke athlete Lizzy Apsley who ran a strong race for second. Demonstrating her excellent form for third, Rachelle Falloon ran a competitive race to finish 15 seconds behind Lizzy. Behind the front three, the rest of the women’s field was packed with high quality performances. 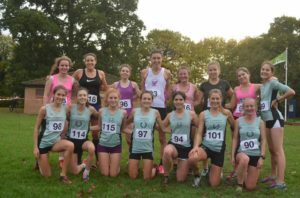 Despite only 15 runners competing at St. Neots, strong runs were seen throughout the field. In the team competition, Corpus emerged victorious with Becca Frake and Mary Butler winning 21 points for their college. Magdalene finished second after Rachel’s performance and similarly for Pembroke with Lizzy bringing them home to third. In the men’s race, Robinson’s Ollie Fox put in a dominant performance to take the win from Magdalene’s Will Ryle Hodges. Covering the 8.5km course in 27:03 minutes, Ollie demonstrated his strength to put 45 seconds into second place. In third was Caius’ Josh Cara, having a great run after struggling with injury over the summer. The depth of the men’s field illustrated the strength of what would soon make up the men’s varsity squads. The college league competition was won by Churchill with David Buglass and Jose Gray running strongly to score 26 points. Second and third were Robinson and Magdalene respectively, demonstrating the importance of having a strong college team as opposed to a single athlete. The high quality of competition shown in both the men’s and women’s races at Cuppers promises for strong teams for Varsity. 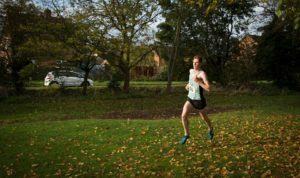 With the selection race being next weekend’s Met League, Cuppers has acted as a means of building confidence for the CUH&H athletes, who next weekend will head to Welwyn Garden City to challenge some of London’s best.